About the Piece: The inspiration for “Love Lost, Love Found” came from Bill Hoppe’s interpretation of an 11th Century Indian manuscript. The many pieces of the sculpture were made by hundreds of different people to help fulfi ll the goal of the Central Oregon Metal Arts Guild (COMAG) to provide an opportunity for the public to participate in the creative process. 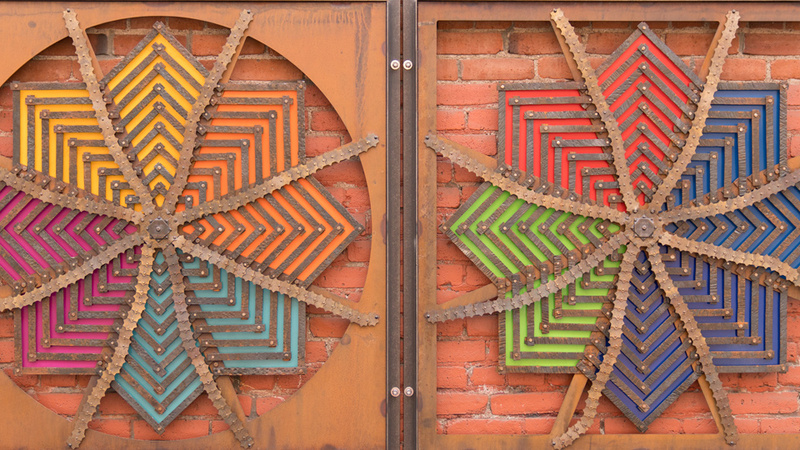 About the Artist: Bill Hoppe is a local artist, COMAG is a diverse group of local metal artists, and the hundreds of participants who helped make the piece are reminders that we can all be artists.